Please note: This product has been tested extensively over 6 months and in brutal weathers to ensure the review goes far beyond first impressions and any ‘novelty’ factors. October 2017 I was invited to see and test the new CimAlp Trailrunning clothing range so selected the Storm Waterproof Jacket and the Sprint-L Flex t-shirt. CimAlp was a brand I had never heard of so I briefly reviewed their website before agreeing to it. And as you know from my other ‘Tried n’ tested’ reviews, I am determined not to rate a product well just because I’m invited to test it. 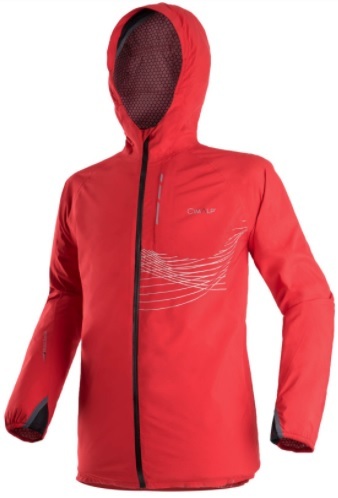 Firstly the CimAlp Storm Waterproof Jacket. 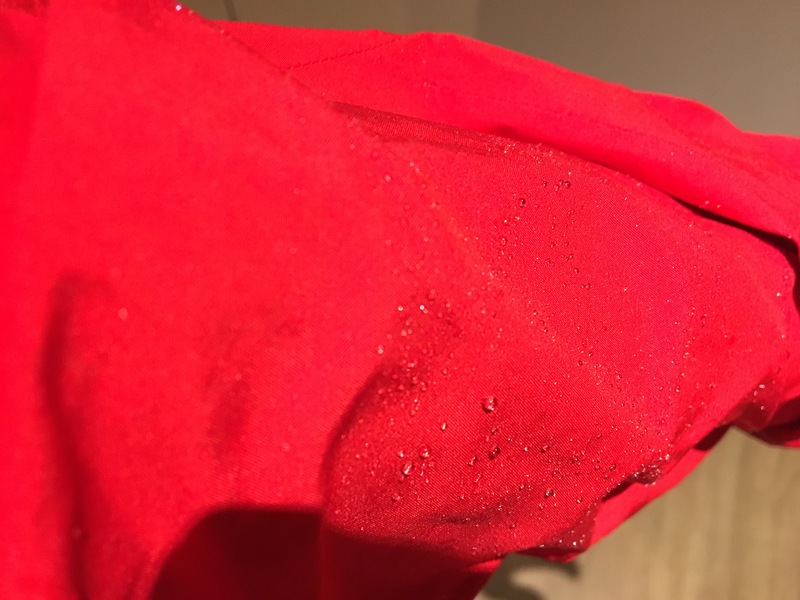 This jacket is now my favoured waterproof in severe weather* – read why below. The Flex t-shirt I wear regularly as a baselayer for running and cycling. * I already owned a high end waterproof in excess of £100 from a very highly regarded brand. However the waterproofing on that has not lasted as long as expected. The CimAlp Storm Waterproof performed much better in snow, hail and torrential rain. The fit was excellent, leaving room for a baselayer and t-shirt without compromising on running movement at all. Fit was also very comfortable when used with a running pack/vest. The fitted hood I was initially concerned about as it had no elasticated cords to adjust the tension. 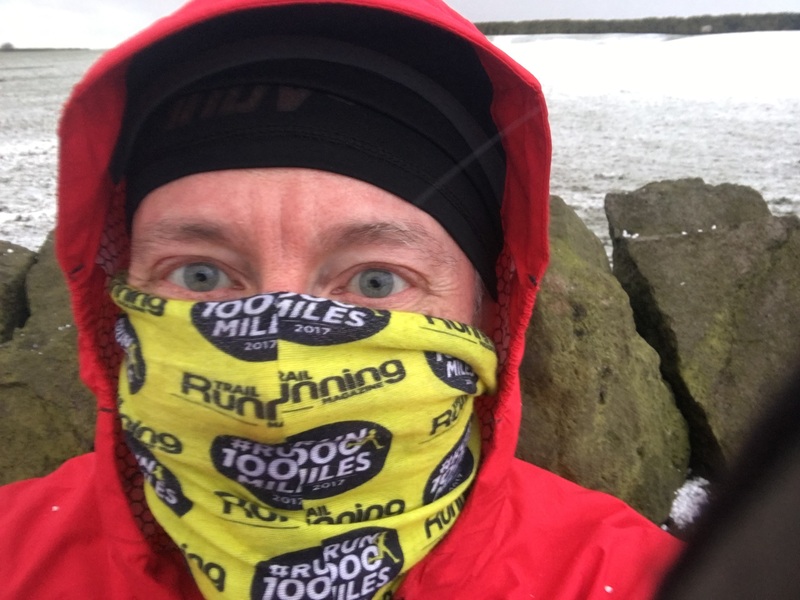 However this was to prove a false alarm even when running in severe winds on fell tops. The inner binding of the hood ensured the fit was consistently comfortable and effective. CimAlp say the jacket fit is ‘ergonomic’ though from a personal viewpoint, I prefer a jacket that is more tailored. I’m not a skinny runner and yet there was a little too much room around the midriff. Nevertheless, the fit is extremely comfortable at all times with the stretch fabric particularly effective for moving freely. 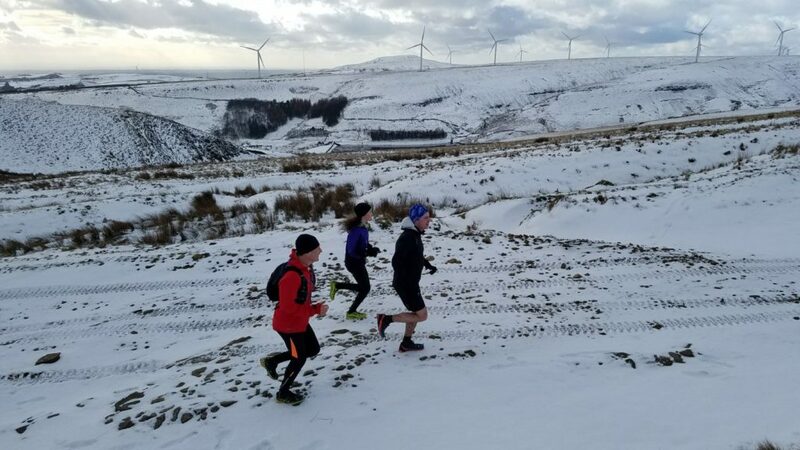 Whether running in torrential rain, blizzard conditions (see pic below when sheltering on top of some moors), or in the middle of winter the jacket always performed. The 10,000mm waterproof membrane proved far more effective than 2 waterproof jackets I’ve now owned for circa 7 and 3 years. With breathability of 12,500g/m²/24h I did not overheat when running in real winter weather. I have found the jacket a little warm though when not in heavy snow and cold winds. 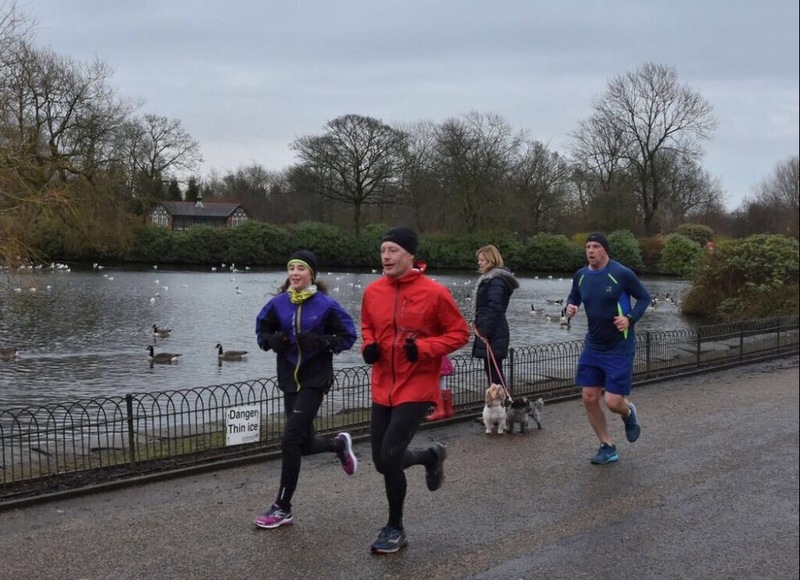 This is why I prefer the CimAlp for runs in snow, heavy rain and strong winds. I prefer my existing lightweight stormshell for runs or races when I need to carry, rather than wear a waterproof. It’s very evident CimAlp is steeped in Alpine history and the jacket is built to perform as above. The Ultrashell®Slim fabric works brilliantly and the ergonomic thumb loops are ideal on their own or inside/outside gloves. I don’t run with music but did find the earphones hole really useful when hiking or marshalling. There are multiple reflective markings which were really effective during head torch runs. Chest pocket was sufficiently roomy and does allow the jacket to be folded up into a tiny pack. With a RRP of £169.90 this is not cheap. I would strongly recommend for a run when you know you will encounter snow and heavy rain. I prefer my existing (very) lightweight stormshell for runs or races when I need to carry, rather than wear a waterproof. 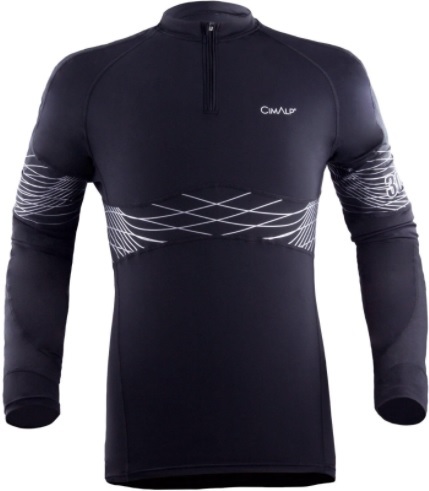 Excellent all-round baselayer whether running, hiking or cycling. Perfect fit as it uses 3D-FLEX® technology for compression and muscle support. It uses thicker fabric than most other brands, specifically because this is designed for cold weather. For me it’s been extremely comfortable whether on its own, with a vest or s/s t-shirt, or under a waterproof. No more needs to be said! The zipped collar also added to the excellent fit, comfort and performance. Running performance superb. Wicking was superb at all times in winter and since getting Lyme Disease in 2013 my torso tends to sweat a lot more than before so this really was tested. Because of the compression fit I didn’t get any chafing either during long runs which was a bonus. What I found when running was the oxygenation was incredibly effective and helped avoid any build up of heat. Plus the zipped collar helped when trying to smash the uphills! When winter cycling (which isn’t what it was designed for) I noticed a chill on my arms and had to layer up. 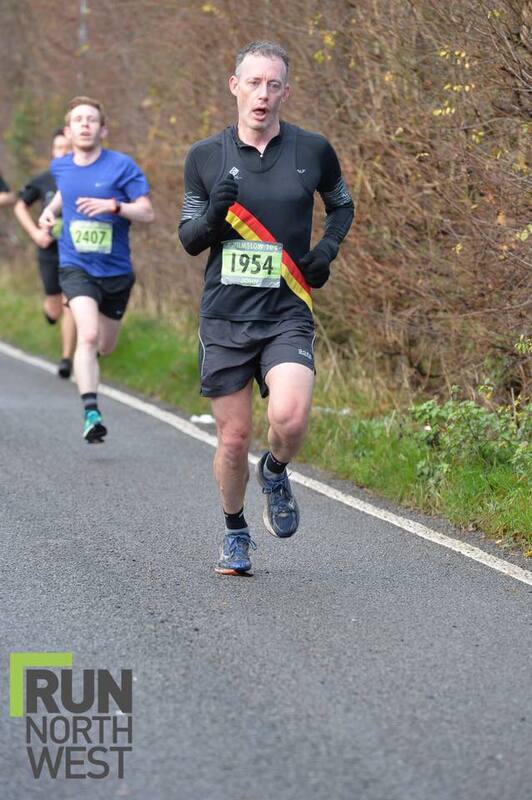 Excuse the laughable ‘running face’ below, the top performed really well in this very cold 10k race (me less so!). Ticks all the boxes for me – with the exception of not having a chest pocket. But that was never necessary with how I used it (combined with other apparel that did have a pocket). 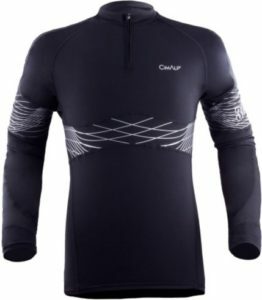 With a RRP of £84.90 I would suggest this is a decent buy if you’re looking for a quality long sleeved t-shirt that works really well as a baselayer offering compression. Find out more about CimAlp here. Hope you found this review helpful 🙂 Enjoy your running!